Officials dismissed some media reports that the woman, Asia Bibi, had been flown abroad, which would enrage hardline Islamists who have been demanding Bibi's death as well as the death of the three Supreme Court judges who acquitted her last week. Following her acquittal, the hardline Tehreek-e-Labaik Party (TLP) forced a countrywide shutdown as their supporters took to the streets for three days in protest and has threatened to paralyze the country with more protests if her acquittal is not reversed. Bibi, 53, was convicted of blasphemy and sentenced to death in 2010 over allegations she made derogatory remarks about Islam after two fellow women farmworkers refused to drink from the same container as a Christian. Her case garnered international attention and has outraged Christians worldwide. European Parliament President Antonio Tajani invited Bibi and her family to Europe. In a letter, a copy of which was seen by The Associated Press, Tajani tells Bibi's husband Ashiq Masih that the European Parliament is "extremely concerned for your safety as well as your family's, due to the violence by extremist elements in Pakistan." The letter added to expectations that Bibi and her family would leave for Europe, though their destination has not been confirmed. Earlier, Spain and France had offered her asylum. ​Italy said on Tuesday it would try to help Bibi, who is Catholic, to leave Pakistan. Canada was also engaged in secret talks with allies over how to protect Bibi, Liberal MP Andrew Leslie confirmed earlier this week. Pope Francis met Bibi's family this year, saying he prayed for her. ​Bibi's lawyer, who fled Pakistan and this week sought asylum in the Netherlands, confirmed she was no longer in prison. "Her writ is in court. When that is decided, Asia Bibi can go anywhere she wants to, she is a free national ... if she wants to go abroad, no harm in it." Insulting Islam's prophet Mohammad carries a mandatory death penalty in Pakistan, which is about 95 per cent Muslim and has among the harshest blasphemy laws in the world. Christians make up about two per cent of the population. A spokesperson for the TLP said her release violated the deal with the government to end the protests. 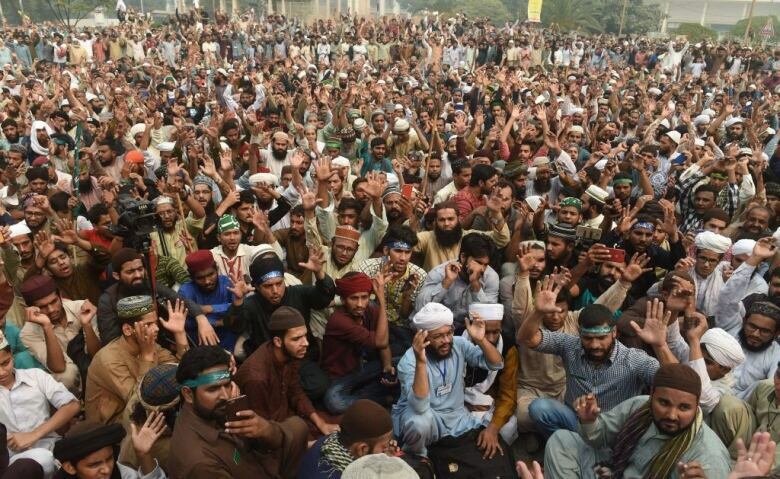 "The TLP activists are agitated as the government has breached the agreement with our party. The rulers have showed their dishonesty," Ejaz Ashrafi told Reuters.